In The Freedom Schools, Jon N. Hale discusses the Mississippi Freedom Schools, which were formed during 1964 as part of the Mississippi Freedom Summer. 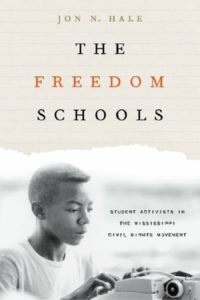 These schools were started by educators and activists to provide an alternative education for African American students that would facilitate student activism and participatory democracy, and had a crucial role in the civil rights movement as well as the development of progressive education in the United States as a whole. Forming a political network, the Freedom Schools taught students how, when, and where to engage politically, shaping activists who trained others to challenge inequality. 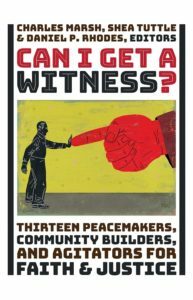 This book is based on dozens of first-time interviews with former Freedom School students and teachers, and shows the side of the civil rights movement that is often looked over in favor of the stories of national leadership or college protesters. Students and teachers that attended the schools speak eloquently about the principles that informed their practice and the influence that the Freedom School curriculum has had on education, as well as offering key strategies for further integrating the American school system and politically engaging today’s youth.